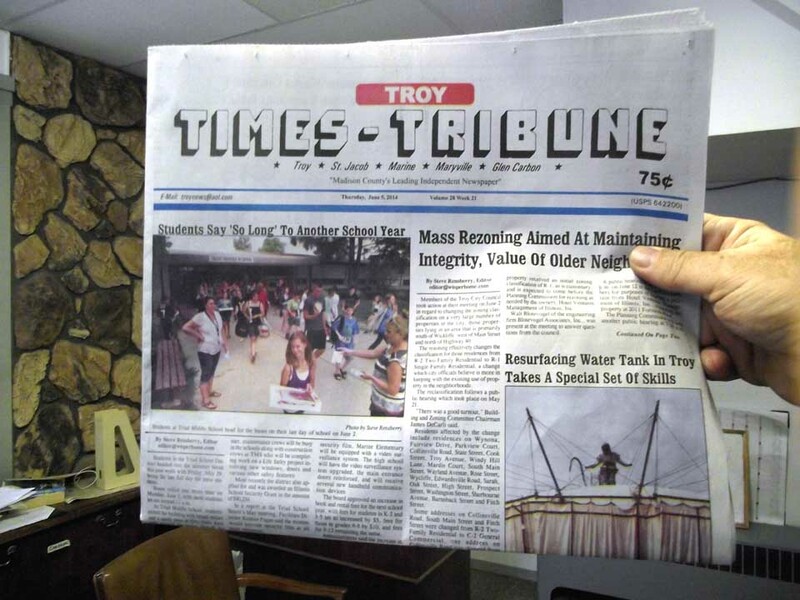 The June 5, 2014 issue of the Times-Tribune is now available! Some of the stories in this issue: Troy Undertakes Mass Rezoning Effort, Maryville Considers Annexations, Farm Expert Shares His Opinion, Teachers Honored by IEA, Students Say 'So Long' To Another School Year, Track Knights Claim Two Medals At Class 2A State Meet, Jakey in June Cook-Off Is This Weekend, Downtown Days Draws Near, Maryville Park and Rec Volunteers Honored, plus a column about the upcoming Downtown Days event, a restaurant feature on Millie's Diner in Marine, our usual "It Happened Here" page, police blotters and more. 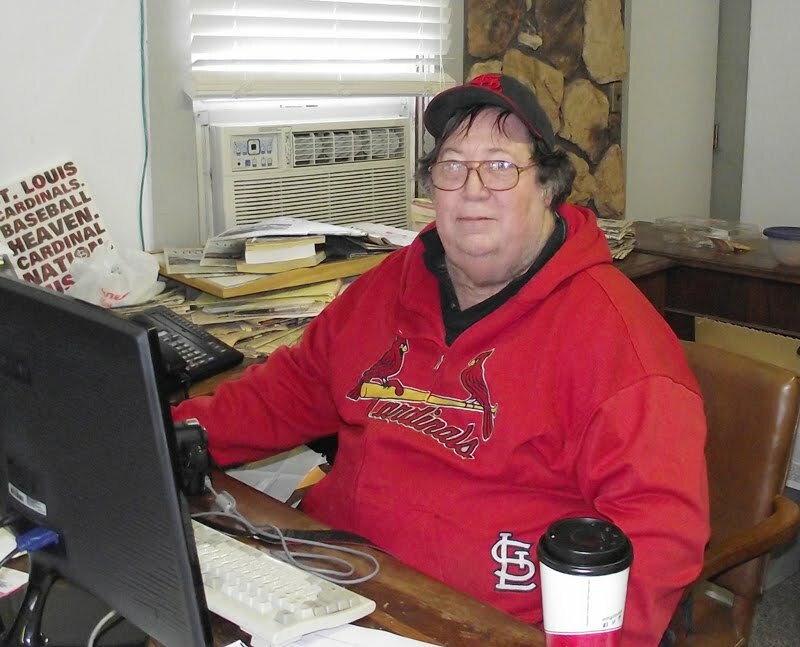 We have obituary and/or memorial service notices for Loretta Grimaud, Jacqueline Kampwerth, Lorraine G. Jakel, Donald J. Mersinger, Nancy Lee Ping, Dorothy Potter and Janet N. Rarick.